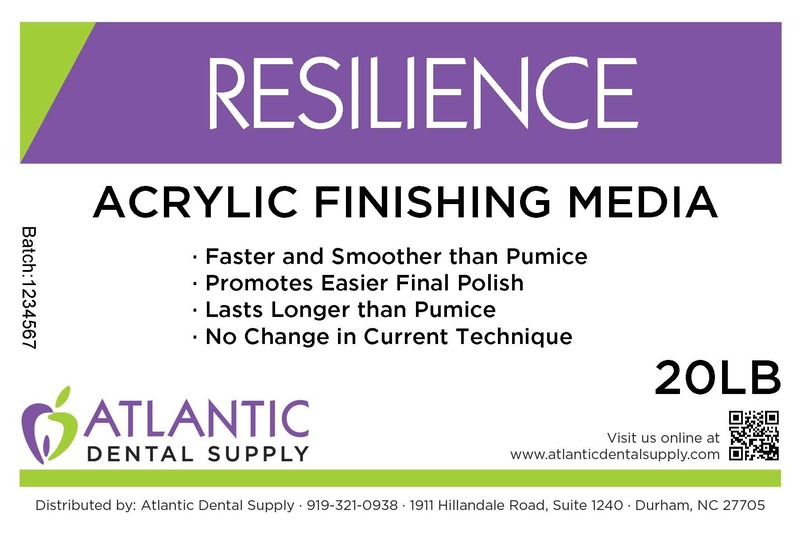 Resilience acrylic finishing media is faster and smoother than pumice and promotes easier polishing. Resilience does not harbor bacteria and therefor greatly reduces odors associated with pumice type products. Resilience requires no change in current technique and lasts longer then pumice products. Resilience is suitable for all acrylic based appliances.